Ralph Janes is a Theatre Artist from London, England. 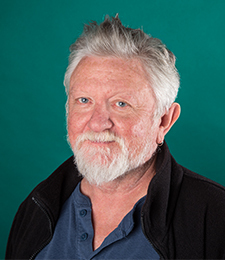 He recently retired from being Department Chairperson at Milwaukee High School of the Arts and now teaches Theatre History, Theatre Education and facilitates the technical side of KSE studio shows . He holds a Primary Degree in Education and Theatre from the University of Leeds, Bretton Hall, and a Master of Fine Arts in Directing from The University of California, San Diego. He has worked mostly in England, Europe, the West Coat and the Mid-West regions of the United States. His focus is on Inter-Related Arts, Improvisational-based Performance and Politics.